Dean Carl Mertins, petitioner, Appellant, vs. Commissioner of Natural Resources, Respondent. Considered and decided by Wright, Presiding Judge; Lansing, Judge; and Minge, Judge . 1. Minn. Stat. � 97A.420, subd. 4(c) (2006), which limits the scope of a judicial-review hearing of a license seizure under Minn. Stat. � 97A.420, subd. 1 (2006) to the issue of probable cause, does not preclude Minnesota district courts from considering constitutional issues inherent in the action pending before them. 2. An appeal raising procedural-due-process questions incident to seizure of a commercial fishing license arising out of a judicial-review hearing and determination under Minn. Stat. � 97A.420, subds. 3, 4 (2006), is not rendered moot by a criminal conviction of violating Minnesota fish and game laws. 3. Commercial fishing licenses represent property interests within the meaning of the Due Process Clauses of the United States and Minnesota Constitutions, and license holders are entitled to due process of law within a reasonable period of time after the state seizes those licenses. 4. The temporary release provision in Minn. Stat. � 97A.420, subd. 5 (2006), provides facially adequate procedural due process for license seizures pursuant to section 97A.420, subdivision 1.
conclude that appellant fails to show that section 97A.420 violates his right to procedural due process or that the district court clearly erred by finding sufficient probable cause supporting the seizure of appellant‟s licenses, we affirm. FACTS Appellant Dean Carl Mertins held various fish and game licenses under Minnesota law that supported his commercial enterprises. In the spring of 2006, Mertins trapped by seining several thousand pounds of buffalo fish. Because his initial buyer decided not to purchase the fish, Mertins placed them in a licensed holding pond. The record indicates that market prices were low and that Mertins could not advantageously sell the fish. The owner of the holding pond contacted DNR officials in mid-June to report dead fish. Conservation officer Joel Heyn investigated the report and found a large quantity of dead fish. Officer Heyn interviewed the property owner and Mertins. Mertins claimed that he or his workers visited the holding pond to inspect the fish �from time to time.� Mertins claimed that unseasonably warm weather in June 2006 caused the holding pond to overheat, killing the fish. The property owner stated that he had not observed anyone check on the fish in the pond since they were left there two months earlier. The DNR determined that Mertins wantonly wasted or destroyed about 19,838 pounds of buffalo fish with a restitution value of just under ,000 and seized all of Mertins‟s commercial and recreational1 fish and game licenses on January 5, 2007. 1 Although recreational licenses were seized, they are not at issue in this appeal. This opinion addresses only the seizure, rights, and remedies as applied to Mertins‟s commercial licenses. On January 30, 2007, Mertins filed a petition under Minn. Stat. � 97A.420, subd. 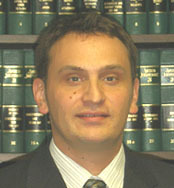 3 (2006) for reinstatement of his licenses. Mertins gave notice, both on January 30 and March 5, of his intent to challenge the constitutionality of section 97A.420 on procedural-due-process grounds. The first hearing on Mertins‟s petition for reinstatement occurred on April 27, 2007, but was continued until May 11, 2007, to afford the Minnesota Attorney General an opportunity to respond to Mertins‟s constitutional challenge. The attorney general declined to submit a response. In an order dated June 7, 2007, the district court ruled that pursuant to Minn. Stat. � 97A.420, subds. 3, 4, the proceeding was limited to the issue of whether there was probable cause to believe Mertins had unlawfully possessed fish with a restitution value over 0. The district court concluded that it did not have authority to consider issues aside from probable cause. The district court observed that Mertins could have raised the constitutional issues in a separate action. The district court determined, however, that even if it could consider the constitutional issues, Mertins had not shown that section 97A.420 violated his due process rights. The district court ruled that the DNR had probable cause to seize Mertins‟s fish and game licenses. This appeal follows. I. Whether Minn. Stat. � 97A.420, subd. 4(c) (2006), precludes Minnesota district courts from considering constitutional due process issues in a probable-cause proceeding conducted pursuant to Minn. Stat. � 97A.420 (2006)? II. Whether this appeal is moot following appellant‟s criminal conviction of violating Minnesota fish and game laws? Constitutions, and, if so, whether the prehearing seizure of appellant‟s commercial fishing licenses and the limited, postseizure review provisions in Minn. Stat. � 97A.420 violated appellant‟s constitutional right to due process? IV. Whether there was probable cause supporting the initial seizure of appellant‟s commercial fishing licenses for a violation of Minnesota fish and game laws? As a threshold matter, the DNR argues that �[j]ust as the district court did not have jurisdiction to address the constitutional issues raised by [Mertins], this Court also does not have jurisdiction to address those issues in this case.� Both the district court and the DNR interpreted Minn. Stat. � 97A.420 (2006) to limit the scope of this judicial proceeding to the probable-cause determination and suggested that Mertins should have raised his constitutional challenge in a separate action. constitutional claims. See, e.g., In re Welfare of D.W., 731 N.W.2d 828, 831 (Minn. App. 2007) (noting that juvenile charged with assault involving a dangerous weapon moved to dismiss petition for presumptive certification for lack of probable cause and argued that presumptive-certification statute was unconstitutional); State v. Ketter, 364 N.W.2d 459, 461 (Minn. App. 1985) (noting that defendant on misdemeanor charges moved to dismiss for lack of probable cause and because statute was facially unconstitutional). In Giem, we construed a statute to avoid a constitutional confrontation. Id. at 429-30. We decline to adopt a reading of section 97A.420 that would arguably violate separation-of-powers principles and conclude that the statute does not operate as a limitation on the subject-matter jurisdiction of a district court or this court to consider constitutional issues that are an inherent part of a pending action. The next issue is whether this appeal is moot. On April 1, 2008, during the pendency of this appeal, a jury found Mertins guilty of the underlying criminal offense, a violation of Minn. Stat. � 97A.031 (2006). Upon conviction of a violation of section 97A.031, when the restitution value of the wild animals exceeds ,000, a person may not obtain a license or take a wild animal for a period of five years. Minn. Stat. � 97A.421, subd. 2a(1) (2006). The DNR argues that as a result of Mertins‟s criminal conviction and the mandatory license revocation required by Minn. Stat. �� 97A.420, subd. 6(b), .421, subd. 2a(1), this court cannot grant effective relief and that this appeal is therefore moot. We agree that the ultimate issue of revocation is determined by the criminal conviction. Generally, when an event occurs that makes a decision on the merits unnecessary or an award of effective relief impossible, the appeal should be dismissed as moot. In re Application of Minnegasco, 565 N.W.2d 706, 710 (Minn. 1997). 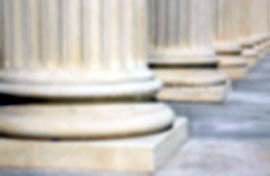 The mootness doctrine requires a comparison between the relief demanded and the circumstances of the case at the time of decision to determine whether there is a live controversy that can be resolved. Id. Mootness is a �flexible discretionary doctrine, not a mechanical rule that is invoked automatically.� Jasper v. Comm�r of Pub. Safety, 642 N.W.2d 435, 439 (Minn. 2002) (quotation omitted). We will not deem a case moot if it implicates issues that are capable of repetition, yet likely to evade review. Elzie v. Comm�r of Pub. Safety, 298 N.W.2d 29, 32 (Minn. 1980). The �capable of repetition, yet evading review� doctrine is �limited to the situation where two elements [are] combined: (1) the challenged action was in its duration too short to be fully litigated prior to its cessation or expiration, and (2) there was a reasonable expectation that the same complaining party would be subjected to the same action again.� Weinstein v. Bradford, 423 U.S. 147, 149, 96 S. Ct. 347, 349 (1975). Our supreme court has cited the Weinstein elements with approval and stated, in addition, that the court will not deem a case moot if the case is �functionally justiciable� and presents an important public issue �of statewide significance that should be decided immediately.� Kahn v. Griffin, 701 N.W.2d 815, 821-22 (Minn. 2005); see also State v. Rud, 359 N.W.2d 573, 576 (Minn. 1984). Furthermore, we conclude that the primary question presented here�whether provisions allowing the prehearing revocation of commercial fishing licenses provide adequate �due process� of law�has statewide significance. Section 97A.420 allows for a prehearing seizure of any fish or game license when there is probable cause to believe that a person has unlawfully taken, transported, or possessed wild animals with a restitution value exceeding 0. Minn. Stat. � 97A.420, subd. 1(a). The provision applies to all Minnesota fish and game licenses. Neither the state nor Mertins provides an estimation of the number of commercial fish and game licenses that may be subject to prehearing seizure under the provision. Accordingly, we deny the motion to dismiss this appeal as moot. We turn now to the question of whether Minn. Stat. � 97A.420 violated Mertins‟s constitutional right to procedural due process. �Evaluating a statute‟s constitutionality is a question of law.� Hamilton v. Comm�r of Pub. Safety, 600 N.W.2d 720, 722 (Minn. 1999). Accordingly, our review is de novo and we are �not bound by the lower court‟s decision.� Id. �[W]e proceed on the presumption that Minnesota statutes are constitutional and that our power to declare a statute unconstitutional should be exercised with extreme caution.� Associated Builders & Contractors v. Ventura, 610 N.W.2d 293, 299 (Minn. 2000). �The party challenging a statute has the burden of demonstrating beyond a reasonable doubt a violation of some provision of the Minnesota Constitution.� In re Haggerty, 448 N.W.2d 363, 364 (Minn. 1989). Moreover, �[i]n attacking a statute or regulation on due process grounds, one bears a heavy burden; the statute or rule need only bear some rational relation to the accomplishment of a legitimate public purpose to be sustainable.� Manufactured Hous. Inst. v. Pettersen, 347 N.W.2d 238, 243 (Minn. 1984) (citing Williamson v. Lee Optical of Okla., Inc., 348 U.S. 483, 75 S. Ct. 461 (1955)); see also Minn. Chamber of Commerce v. Minn. Pollution Control Agency, 469 N.W.2d 100, 105 (Minn. App. 1991) (applying the burden language in Pettersen to review of a procedural due process claim), review denied (Minn. Jul. 24, 1991). Procedural due process constrains state action that deprives individuals of �liberty� or �property� interests within the meaning of the Due Process Clauses of the Fifth and Fourteenth Amendments. Mathews v. Eldridge, 424 U.S. 319, 332, 96 S. Ct.
893, 901 (1976). The Minnesota Constitution has a parallel due process clause. Minn. Const. art I, � 7. Due-process protections granted under the United States and Minnesota Constitutions are identical. Sartori v. Harnischfeger Corp., 432 N.W.2d 448, 453 (Minn. 1988); Fosselman v. Comm�r of Human Servs., 612 N.W.2d 456, 461 (Minn. App. 2000). The threshold question is whether Mertins‟s state-issued commercial fishing license is a constitutionally protected property interest. [t]o have a property interest in a benefit, a person clearly must have more than an abstract need or desire for it. He must have more than a unilateral expectation of it. He must, instead, have a legitimate claim of entitlement to it. It is a purpose of the ancient institution of property to protect those claims upon which people rely in their daily lives, reliance that must not be arbitrarily undermined. Roth, 408 U.S. at 577, 92 S. Ct. at 2709.
issued by the Department of Commerce �fell short of conferring a cognizable property interest.� Id. at 1341; accord WMUR Channel Nine v. New Hampshire Dep�t of Fish & Game, 908 A.2d 146, 150 (N.H. 2006); Pa. Game Comm�r v. Marich, 666 A.2d 253, 256-57 (Pa. 1995); cf. LeClair v. Natural Res. Bd., 483 N.W.2d 278, 282-85 (Wis. Ct. App. 1992). However, there is a recognition of such a property right in the case of a hunting guide‟s license and an accompanying right to due process. Herscher v. State, 568 P.2d 996, 1002 (Alaska 1977). Several of these cases involve fishing and hunting activities that are commercial. Conti, 291 F.3d at 1336; Herscher, 568 P.2d at 999. We do recognize due-process protections for driver‟s licenses, professional licenses, and other licenses essential to the pursuit of a chosen livelihood, career, or business. See Bell v. Burson, 402 U.S. 535, 539, 91 S. Ct. 1586, 1589 (1971) (�[C]ontinued possession [of a driver‟s license] may become essential in the pursuit of a livelihood . . . licenses are not to be taken away without . . . procedural due process . . . .�); State v. Saugen, 283 Minn. 402, 406, 169 N.W.2d 37, 41 (1969) (recognizing a protected property right in an assignable and transferable liquor license); Phillips v. State, 725 N.W.2d 778, 783 (Minn. App. 2007) (noting that, in many settings, public employees have a constitutionally protected property interest in continued employment); Humenansky v. Minn. Bd. of Med. Exam�rs, 525 N.W.2d 559, 566 (Minn. App. 1994) (noting that a license to practice medicine is a constitutionally protected property right), review denied (Minn. Feb. 14, 1995). Accordingly, when the state issues a license that becomes vital to the pursuit of a chosen livelihood or profession, our caselaw affords procedural due process when that license is seized or revoked. Here, Mertins states that the seizure of his commercial licenses will cause loss of income to him and his family. We conclude that Mertins has sufficient interest in his state-issued commercial fishing licenses in pursuing his business to characterize such licenses as property interests entitled to procedural-due-process protection under the Minnesota and U.S. Constitutions. Having concluded that Mertins has a protected property interest, the question remains what process is due. See Loudermill, 470 U.S. at 541, 105 S. Ct. at 1493. Mertins contends that the appeal procedure in Minn. Stat. � 97A.420 violates his right to procedural due process because (1) the statute allows the revocation of his commercial game and fishing licenses prior to a hearing; and (2) the statute prohibits him from challenging the underlying charge that was the basis for the seizure of his licenses. We address these contentions in turn. identification of the specific dictates of due process generally requires consideration of three distinct factors: First, the private interest that will be affected by the official action; second, the risk of an erroneous deprivation of such interest through the procedures used, and the probable value, if any, of additional or substitute procedural safeguards; and finally, the Government‟s interest, including the function involved and the fiscal and administrative burdens that the additional or substitute procedural requirement would entail. Id. at 335, 96 S. Ct. at 903; see also Hamilton, 600 N.W.2d at 723-24 (applying Mathews factors to due process required incident to revocation of a driver‟s license). license that allows him to engage in his chosen occupation, commercial fishing, and the deprivation of that license cannot occur without due process. The second Mathews factor considers the risk of erroneous deprivation of a protected interest through the procedures used and the probable value, if any, of additional or substitute procedural safeguards. Here, we note that conservation officers are directed to �immediately seize the license of a person who unlawfully takes, transports, or possesses wild animals when the restitution value of the wild animals exceeds 0.� Minn. Stat. � 97A.420, subd. 1(a). Furthermore, conservation officers are directed to seize all licenses held by a person when the restitution value is ,000 or more. Id., subd. 1(b). The immediate and mandatory nature of the license seizure contemplated by the statute heightens the risk of erroneous deprivation. But we also note that Officer Heyn conducted a thorough examination of the fish-kill, that approximately six months elapsed before he served Mertins with a seizure notice, and that Mertins had the use of his license throughout the DNR‟s investigation. the filing for review. Id., subd. 4. Following the hearing, the district court must issue its decision within 14 days. Id., subd. 4(d). The purpose of the hearing is to determine whether there is probable cause to believe the petitioner violated the provision at issue. This is a burden of proof that is weighted in favor of the state; it is simply designed to determine whether the case should go forward. Although the timeline should assure a decision within 74 days of a request for review, the holder of the commercial fishing license may be shut down for that period or longer. In the driver‟s license/driving-while-impaired-revocation setting, a similar timeframe apparently only satisfies due-process requirements because of temporary stays of revocations. See Bendorf v. Comm�r of Pub. Safety, 727 N.W.2d 410 (Minn. 2007). We conclude that the review process in Minn. Stat. � 97A.420, subd. 3 is inadequate because it is limited to determining probable cause and because the timeline is too long for review of the seizure of a constitutionally protected commercial license. Such a probable-cause determination does not accord the citizen the level of protection required by due process. Mertins had other statutory avenues for prompt relief that he did not utilize. One of these allowed him to administratively challenge the DNR‟s determination. Minn. Stat. � 97A.420, subd. 2. Such a challenge would have required the commissioner to issue a written report on whether there is sufficient cause for a license seizure and order within 15 days after receiving the request for review. Id., subd. 2(a), (b). Although Mertins did not avail himself of the administrative-appeal procedure, he did have the option of simultaneously pursuing this with the judicial-probable-cause review. Id., subd. 2(c). Because the �sufficient cause� standard is not appreciably different from �probable cause,� this administrative review does not meet the due-process requirements. The statute governing DNR revocation of licenses allows for the temporary release of commercial licenses �[i]f the commissioner determines that the public welfare will not be injured.� Id., subd. 5. To obtain such a determination, the license holder must request the temporary relief in writing, pay a temporary ,000 reinstatement fee or post a bond for that amount, and the commissioner must �determine that . . . the public welfare will not be injured . . . .� Id. If the criminal charges are not sustained, the license is retained and the commissioner returns the fee. Id. Mertins did not avail himself of this procedure. This provision allows commercial fishing enterprises to continue operating pending the outcome of the criminal proceedings. This temporary-return process is designed for expeditious action by the commissioner and does not use a burden-of-proof standard that places the holder of a commercial license at a disadvantage. Finally, we note that the loss of a license requires a criminal conviction of the underlying charged offense. Id., subd. 6 (2006). This requires proof beyond a reasonable doubt with all of the attendant protections offered criminal defendants. There is also a right to a speedy trial. See Minn. R. Crim. P. 6.06 (providing a trial date within 60 days in misdemeanor cases on demand made orally or in writing by the defendant). Here, Mertins not only did not avail himself of a speedy trial, but he also sought continuances. Such delaying conduct on Mertins‟s part is not consistent with his complaints about lack of a fair, expeditious process. 2 A writ of mandamus may be available to force timely action. Constitution . . . . The amendment provides, �Hunting and fishing and the taking of game and fish are a valued part of our heritage that shall be forever preserved for the people and shall be managed by law and regulation for the public good.� Minn. Const. art. XIII, � 12. This provision of the Minnesota Constitution must be considered in our analysis along with the extensive laws and regulations passed to manage fishing for the public good. Based on these provisions, it is clear that although the state has ownership of fish in public waters and control over when, how, and the extent to which fish can be taken, this sovereign power is not to be exercised arbitrarily. In sum, although the first Mathews factor weighs in Mertins‟s favor, Mertins fails to persuade this court that the review and temporary release procedures established in section 97A.420 are inadequate given the state‟s interest in preserving and protecting its natural resources. Had Mertins availed himself of the full range of remedies under the statute, and had the DNR been unresponsive to a request for a temporary license reinstatement, we would face a different situation. However, because we presume that Minnesota statutes are constitutional, because Mertins‟s property interest is constrained by the state‟s interest in managing its natural resources, and because Mertins did not avail himself of the statutory procedures, we conclude that section 97A.420 on its face provides adequate procedural due process. Mertins‟s last contention is that there is not probable cause supporting the underlying wanton-waste citation. Probable cause means �more than a bare suspicion but less than evidence that would justify a conviction.� Black�s Law Dictionary 1219 (7th ed. 1999). Whether there is probable cause depends on findings of fact that are reviewed for clear error, but it is ultimately a question of law to be reviewed de novo. State v. Horner, 617 N.W.2d 789, 795 (Minn. 2000). Here, the commissioner presented evidence that Mertins left nearly 20,000 pounds of buffalo fish in a holding pond for about two months without returning to check on the fish. Mertins admitted to putting the fish in the pond and he stated that he or his employees checked on the condition of the fish, that he planned to sell the fish in New York for $.70 per pound, and that he later decided to wait to sell the fish until the price increased to per pound. The record further reflects that the restitution value of the fish was just under ,000. Mertins presented a claim to the district court that the loss of the fish was unintentional. However, the district court concluded that the facts alleged by the commissioner were �sufficient to reasonably believe that [Mertins] recklessly, heedlessly, or deliberately permitted the fish to go to waste.� We conclude that the record is adequate to support a determination of probable cause and that the district court did not err in making that determination. We affirm this aspect of the district court‟s decision. conclude that this appeal is not moot as a result of Mertins‟s criminal conviction because Mertins raises an important public issue of statewide significance. We also hold that Mertins‟s commercial fishing licenses represent protected property interests under the Minnesota and federal constitutions and that commercial licenseholders are entitled to due process of law when state action deprives them of those licenses. However, we conclude that the range of procedural safeguards and appeal provisions in Minn. Stat. � 97A.420 (2006) affords adequate due process following a license seizure. Accordingly, we conclude that the prehearing seizure of Mertins‟s commercial fishing license and the proceedings that followed did not violate Mertins‟s right to procedural due process. Affirmed; motion to dismiss denied.